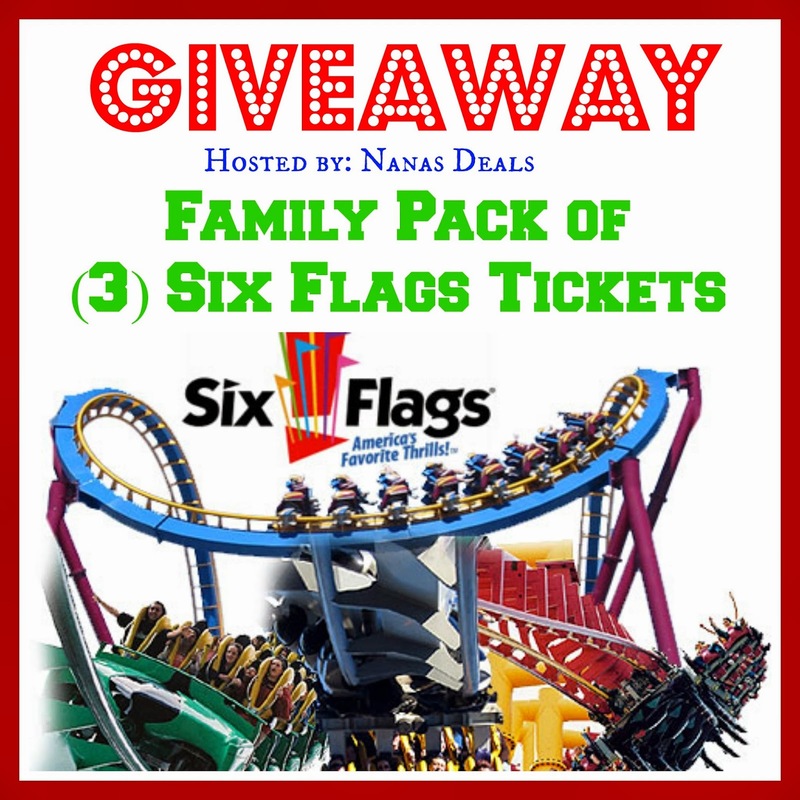 Pink Heart String has teamed up with Nana's Deals and More to bring you this fantastic summer time fun family theme park giveaway. (1) Winner will be selected at random to win (3) Six Flags Theme Park Tickets good for the 2014 season. The Six Flags Tickets are good at "any" Six Flags Theme Park and good for the entire 2014 season any day .Winner will be selected at random from all eligible entries received. By entering this giveaway you agree to all terms and conditions on entry form. Winner will be notified in email. Giveaway ends 8/04/14 at 11:59 PM/EST. ** This participating blog is not responsible for selecting, notifying or mailing of any prize.